Family Law encompasses many types of legal issues. These include prenuptial agreements, wills, creating a family trust, or attending to the needs of a disabled or elderly family member. Your family attorney is a trusted professional who learns about the most intimate details and demands of your family life. 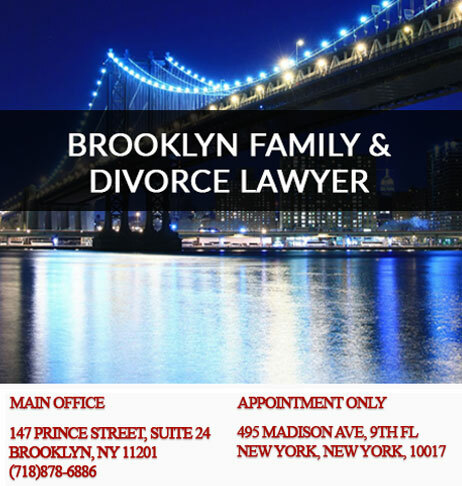 Naturally if your family experiences a divorce, issues of separation, alimony, educational provision, child custody and visitation as well as child support are vital to the success and well being of your family. Understanding the ins and outs of the law, and how to identify the most effective strategy to provide for the legal needs of your family can impact you for generations to come. That’s why you need the strength, competency and integrity of the Law Offices of Mary Katherine Brown. 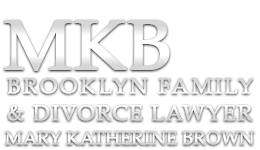 With more than a dozen years of experience, Mary Katherine Brown provides a full service practice, which will meet your family’s personal, business and financial needs. 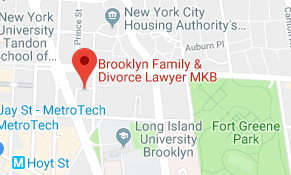 Brooklyn Family & Divorce Lawyer Mary Katherine Brown is a top rated attorney listed on Avvo.com, who has responded to thousands of questions in a compassionate and legally savvy manner. She advocates aggressively for all of her clients and is an astute negotiator. Extraordinarily professional, she will simultaneously protect you and your resources, while bringing about the best possible solution available to you. Ms. Brown is technically proficient, and utilizes technical tools to streamline the delivery of legal documents, preserving as much of your legal budget as possible for legal counsel and advice, allowing you to make the best possible set of choices for your personal and business scenario. Ms. Brown has practiced law in New York City since 2000 and is a graduate of New York Law School. Interestingly her pre-law career includes time spent in the entertainment industry and real estate. You will find Ms. Brown an extraordinarily compassionate advocate for teens and the disabled. She believes strongly in a unified and responsible approach to parenthood, protecting the interests of your child and your ability to participate in their lives. To ask a question about your legal problems, please submit a question below. We provide a la carte legal services, as well as representation secured by a retainer. Our consultations gather all the pertinent data and help us craft the legal strategy that meet your special legal requirements in a time efficient manner; and allow you to participate in the solution of your legal problems.